Play video Leighton Aspell's Premier League Predictions. from BBC SportLeighton Aspell's Premier League Predictions. 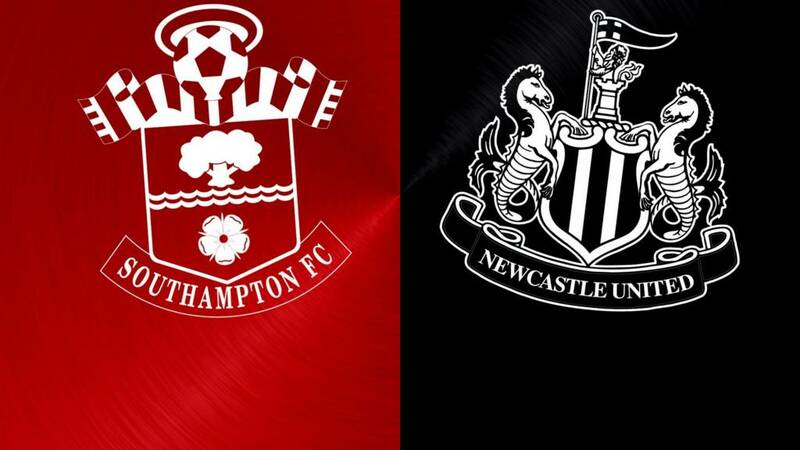 Southampton: Forster, Martina, Fonte, van Dijk, Bertrand, Clasie, Wanyama, Long, Mane, Tadic, Pelle. Newcastle striker Aleksandar Mitrovic thunders the ball into the net, but he is flagged offside. The replays show he was off by a couple of yards. Close again for the Saints. Jay Rodriguez almost gets on the end of a Victor Wanyama cross, but Vurnon Anita is at the back post to head the ball away. Forward Jay Rodriguez comes on for his first Saints appearance since October. He has been recovering from a foot operation. The England striker replaces Dusan Tadic. Saints bring on Oriol Romeu for the hard-working Jordy Clasie. There are 12 minutes remaining. That was close from Sadio Mane. The attacking midfielder runs into the area and bends his shot just past Karl Darlow's right-hand upright. There will probably be another goal in this - but who will score it? This might... might... give Newcastle fans some hope. Norwich are losing 1-0 to Crystal Palace. BBC Newcastle's summariser John Anderson: "It's some hit from Townsend. He likes to drift in off the right side. He's not going to hit too many better than that." Papiss Cisse comes on for Ayoze Perez, who has been ineffective. No need to rub your eyes, Newcastle have scored!! It's Andros Townsend with the stunning strike. You can probably second guess how he managed it. The former Tottenham man cut in from the right before unleashing a rocket of an effort past the stationary Fraser Forster. Not 'game on', but more 'there is a game on'. Saints take off goalscorer Shane Long and bring on James Ward-Prowse. The Republic of Ireland striker gets a warm round of applause, and deserved too. At the other end an 18-yard shot from Ayoze Perez forces a low save from Fraser Forster. The England keeper then pushes away a strong shot from Andros Townsend. Newcastle fans are cheering when their players have the ball - might be a wee bit tongue in cheek. The Saints try a different approach for the corner and play it short. Sadio Mane eases to the byline and cuts it back for Graziano Pelle, whose low shot is blocked. However, Victor Wanyama follows up and lashes the rebound into Newcastle's bottom right corner. The corner count is totting up. Saints have now had 10. Newcastle somehow win their first corner after a 'Police Academy' of an attack. Unsurprisingly, nothing comes from the set-piece. But the visitors are enjoying more of the possession. Almost a gift from Fraser Forster. The former Newcastle keeper's clearance from a backpass falls to Magpies midfielder Moussa Sissoko who is 40 yards out on the left. But the France international - who has not scored for his club this season - fails to trouble the goal with his return shot. Newcastle are 66-1 to win this. Defender Jamaal Lascelles is about to come on for Newcastle. He will replace Steven Taylor. For a more keenly-fought contest check out our coverage of The Grand National. The race starts at 17:15 BST. BBC Newcastle summariser John Anderson: "Newcastle have not worked the goalkeeper. Forster had nothing to do. Are we capable of pulling two goals back? On the evidence of the first 45 minutes and of the rest of this season, the answer is no."